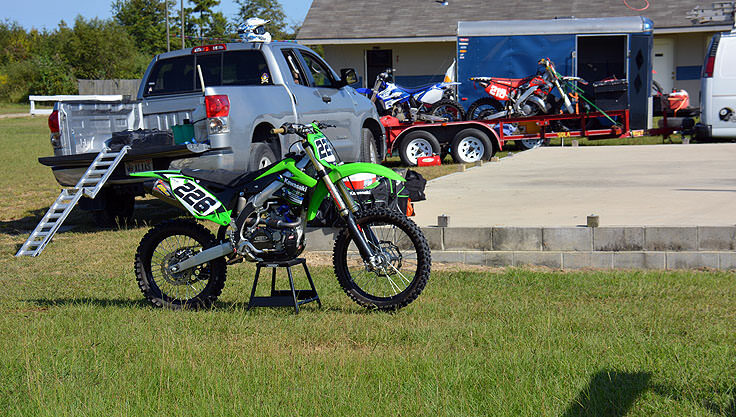 Summertime Friday nights are hot in Elizabeth City, thanks mainly to the Dixieland Speedway, a 3/8th mile dirt track that attracts stock car, go-kart and motorcycle racers from all across the eastern North Carolina region. An exciting spot with a family-friendly atmosphere, this destination is a great place for racing fans to satisfy their need for speed without venturing very far from the heart of North Carolina's Inner Banks. The speedway is fairly easy to access, and is located just off of US 17, on the "Old US 17" Highway, or Northside Road, and is just a few miles away from Camden and Elizabeth City. Located in a rural section of land that's close to the Virginia border, the speedway is in a quiet, wooded and marshy region, which is a good thing considering how much noise those racers can crank up with every turn. The speedway, which has been a local institution for more than 30 years, is a dirt and clay track that can accommodate a wide range of races, from bikes and go-karts, to stock cars hoping to make it to the NASCAR circuit, and everything in between. The long, oval track has a line of stands overlooking the start / finish line that are carefully fenced in to protect spectators from debris, but close enough to the action so that every fan has a great view of the action. Races are generally held in the evenings, as the race track is fully lit, and the racing is seasonal, running generally from early May or late April until September. Local drivers compete for a points championship, which, (similar to NASCAR), is based on points accumulated via their finishes during the season, and considering that many drivers are folks that locals know in the neighborhood and are rooting for, the stakes are often high, with die-hard fans cheering on their favorites. This makes for a fun atmosphere on any given race night, as the fans and the drivers are both invested in the race results. Concession stands are available on site, which feature racetrack favorite foods and drinks, and there is ample parking that's just a short walk away from the track itself. Spectators can buy tickets on site on race night, and tickets generally run around $10 for adults, $5 for children ages 6-11, with free entry for kids who are 5 and under. For die-hard fans, season passes are also available and generally run around $125 per year. For more information on the track's facilities, patrons can call the main office at (252) 335-7412, and for a peek at the upcoming schedule, race fans can obtain a complete season overview online at http://www.dixielandspeedway.net/about.html. North Carolina is where stock car racing rose to fame, and the small, local races that fueled the national NASCAR phenomenon are alive and well at the Dixieland Speedway just outside of Elizabeth City. A great outing for race fans of all ages, with not a bad seat in the house, Dixieland Speedway is a fun and genuinely Coastal Carolina way to celebrate a warm but beautiful summer Friday or Saturday night.